I’m not about to set off on any Dakar recreation but, an enthusiastic weekend ride out to Lithgow, west of Sydney is more than adequate to test the road manners and touring capability of this big ‘mulitbike’ which Ducati claims is “unbeatable on tarmac, perfect and comfortable for long-distance travelling, fun off the road and agile through town.” Just a few weeks prior, we had tested BMW’s rave-reviewed R 1200 GS, so with that experience still fresh, it was an interesting comparison that may ultimately come down to personal preferences and brand loyalties. The big Italian 1198cc L-twin has more than ample power on hand, delivered with that imperious throaty roar when the throttle is opened, sending you off effortlessly down the tarmac. Handling is confident and surprisingly nimble for a big bike. One of the key features, much like the BMW, is the ability to dial-up suspension and engine settings to match the riding conditions and terrain. Scroll through adjustments for traction control, ABS and wheelie control to best match your ability and the surfaces. 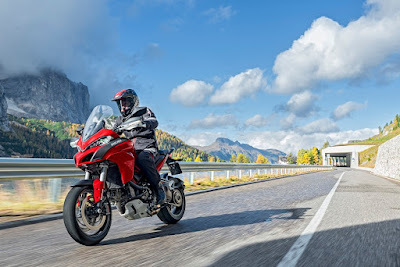 In summary, while the BMW is a technical marvel, the Ducati retains more pure bike feel and nuances, delivering a riders’ ride, if that makes sense. Their words, not mine. But the 1262cc XDiavel S is the embodiment. It’s up to you to decide whether you’re the gentleman. This motorcycle is a beast and a pure and exuberant expression of … whatever you want to express. 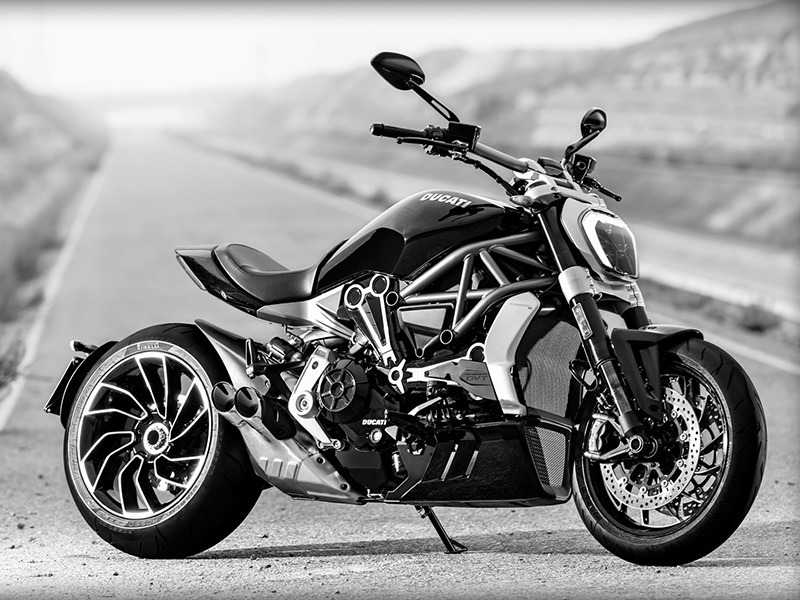 The S is a redo of the already flamboyant XDiavel, billed by Ducati in a marvellous understatement as a ‘cruiser’. The Testastretta DVT L-twin’s bore is the same as our Multistrada but the stroke is extended on this 1262cc incarnation. Ducati’s premise in the X is to create a meticulously engineered crossover for cruiser and superbike, yet the result is somewhat beyond both in this machine which could well star in its own Transformer movie. Cool standard equipment includes a ‘power launch’ which is pretty much self-explanatory, as well as ABS and DTC (traction control). If Mike Hailwood were around today, this would be his daily bike. 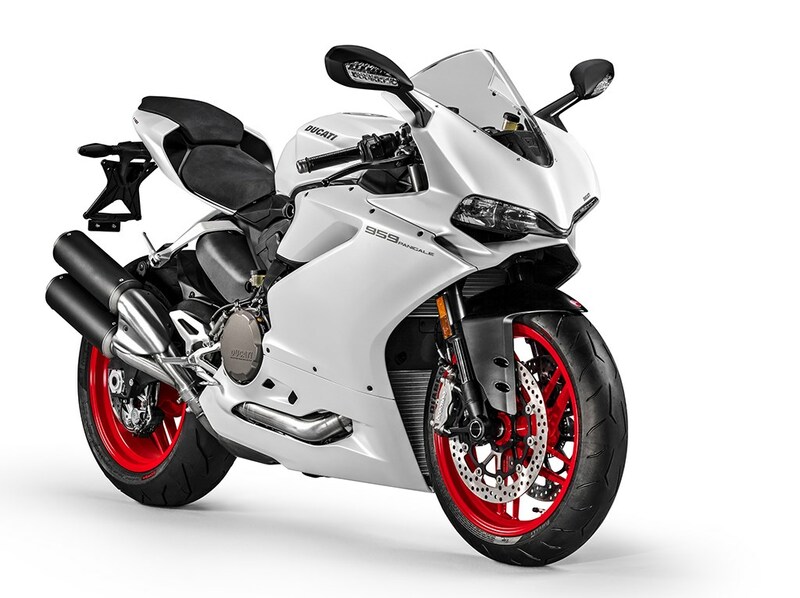 Despite its space-age looks and electronic gadgetry, it’s still a purist’s Ducati superbike. The 90° V-twin Superquadro (8-valve) engine of the ‘middleweight’ 959 Panigale shares the same stroke as the big 1299cc, bringing capacity from 898 in the previous model, to 955cc and a howling 115kW at 10,000rpm. You’re imagining that right now, aren’t you? The same tech wizardry is there too with three levels of ABS, preset with each of the three riding modes (Race, Sport, and Wet); in Race mode, for example, the ABS only affects the front brake making it track-ready for those looking for a bit of weekend excitement under controlled conditions.